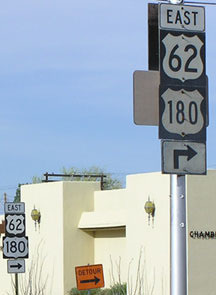 Note: US 62 is signed east-west from El Paso all the way through Ohio (except for the segment between Carlsbad and the Texas line), but it is signed north-south in Pennsylvania and New York. 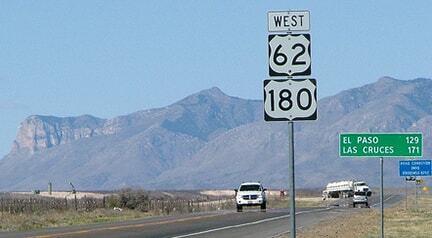 Two years later, both ends of US 62 were extended, to the same destinations that the highway still serves today. 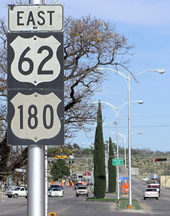 In Texas, the west terminus of US 62 has shifted around a bit over the years; photos and more info on the El Paso page. 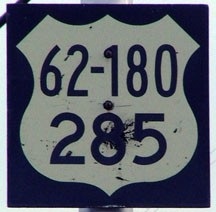 The east end of US 62 is at the Ohio line at Sharon PA; despite the east-west bearing implied by its even number, the highway actually runs north-south in Pennsylvania and New York, and is signed that way. 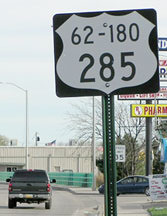 So the Niagara Falls terminus of US 62 is actually its north end (more info on that page). 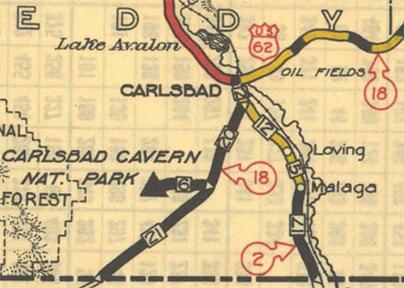 last updated June 11, 2016.